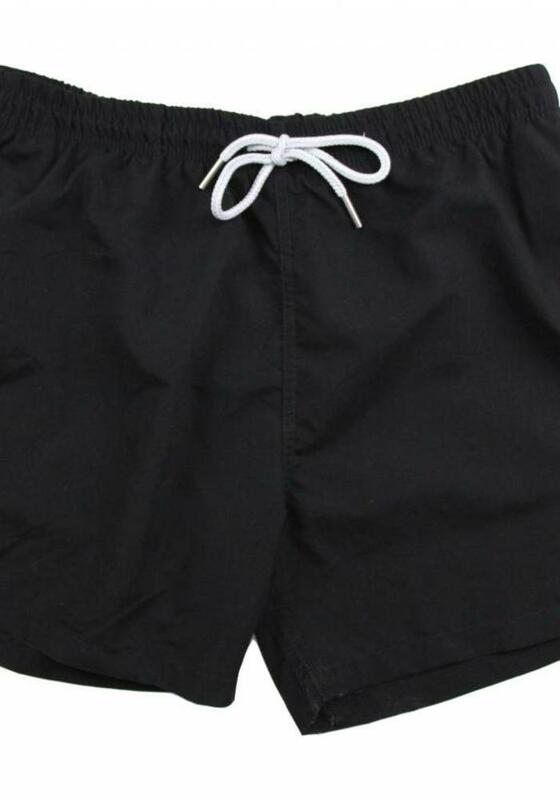 Black swim trunks for men from Avenue Tropicale. Bottom left is an emblem of two 'cartoon eyes'. 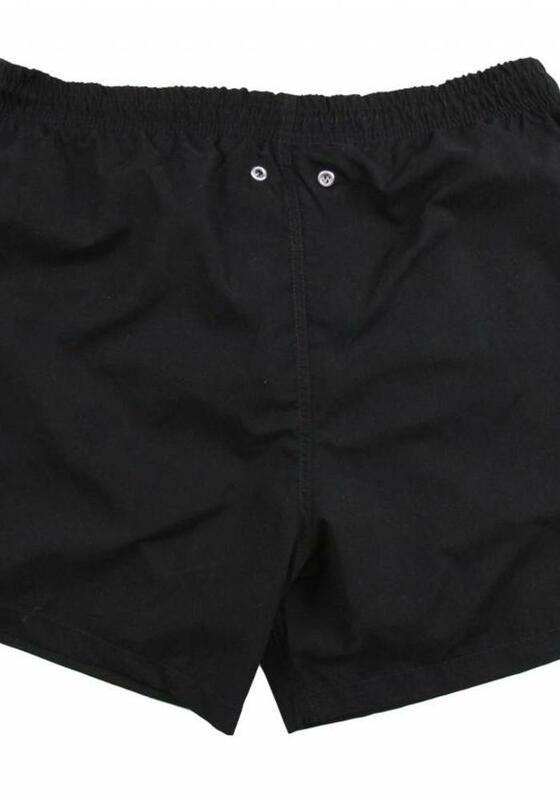 This men's swim short has a modern fit and has two side pockets on the side. 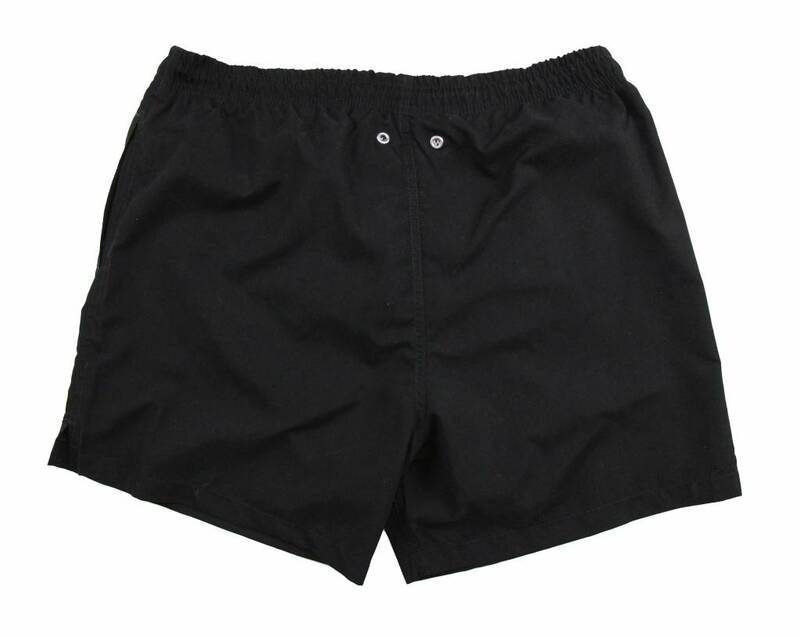 With inner shorts of mesh. 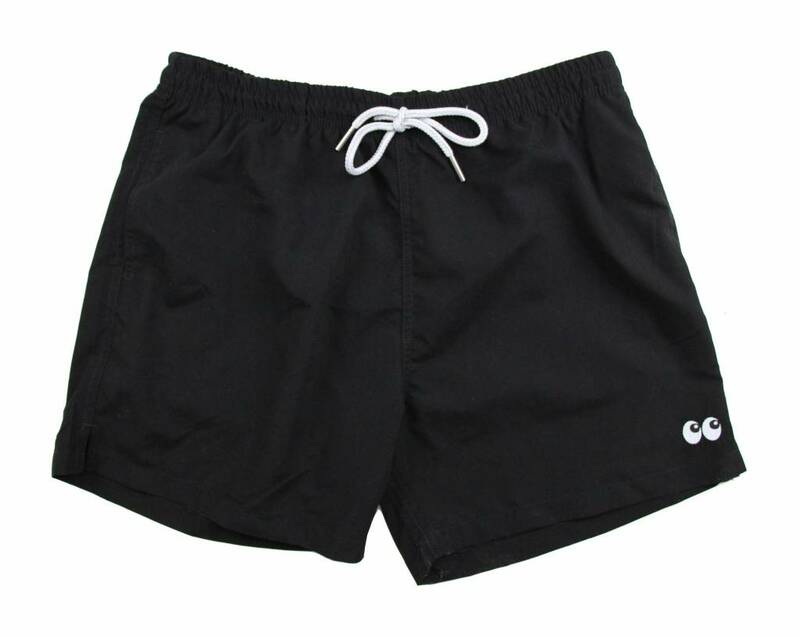 The Avenue Tropical Eyes Only swimming trunks are made of 100% fast drying polyester.